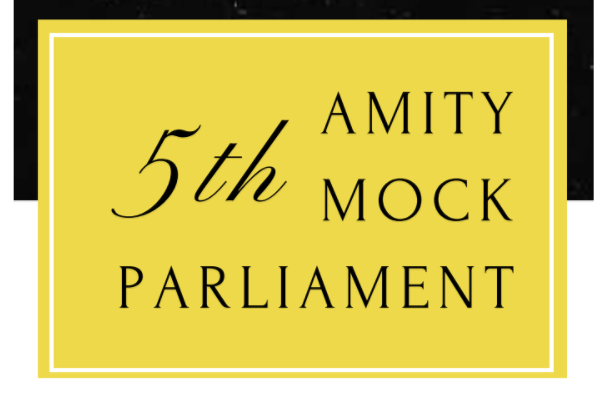 Amity Law School Noida will hold Amity Mock Parliament 2019 on 27th and 28th February. Venue: Amity University, Sector-125, Noida, Uttar Pradesh. Joint Session of Parliament- Deliberation on the Citizenship Laws of India with specific emphasis on the Citizen Amendment Bill 2016 and NRC. National Commission for Women- Deliberation on the prohibition of Commercial Surrogacy with respect to Women and LGBT Community. Parliamentary Standing Committee on Agriculture- Deliberation on Agricultural policies and its impact on farmers with special emphasis on Minimum Support Pricing (MSP) and Financial Assistance. Hindustan Press- Journalists, Photographers, & Caricaturists.